There’s something about spring and ice pops that go hand in hand for me. Every year about this time I start craving sweet frozen goodness on a stick. Ice pops are one of my very favorite ways to use up fruit that’s not going to get eating up in time before it goes bad. Well my gorgeous aunt stopped by the other day with a bag full of oranges and lemons from her tree. (Yes, they both grow on one tree, it’s pretty cool.) There was so much yummy citrus that I had to think of something to make. I spent more time peeling the oranges to make the juice than I did putting together the ice pops. 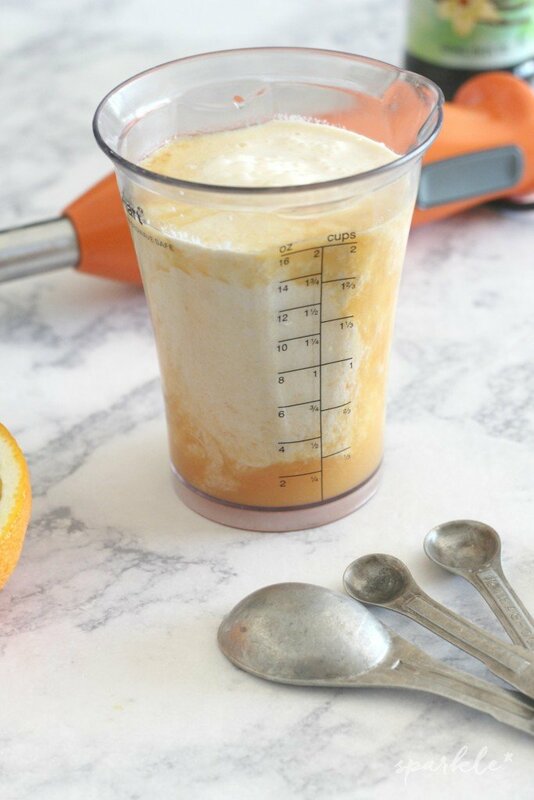 It took 5 oranges to make approximately one and a half cups of juice in the juicer. 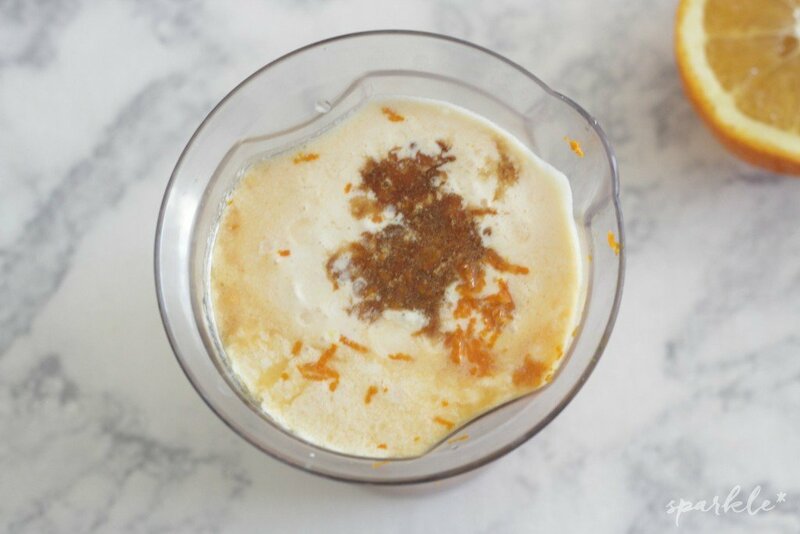 I used my handy immersion blender to combine the juice, heavy whipping cream, vanilla, orange zest and stevia. The stevia was just to add a bit of sweetness. I only used one packet. 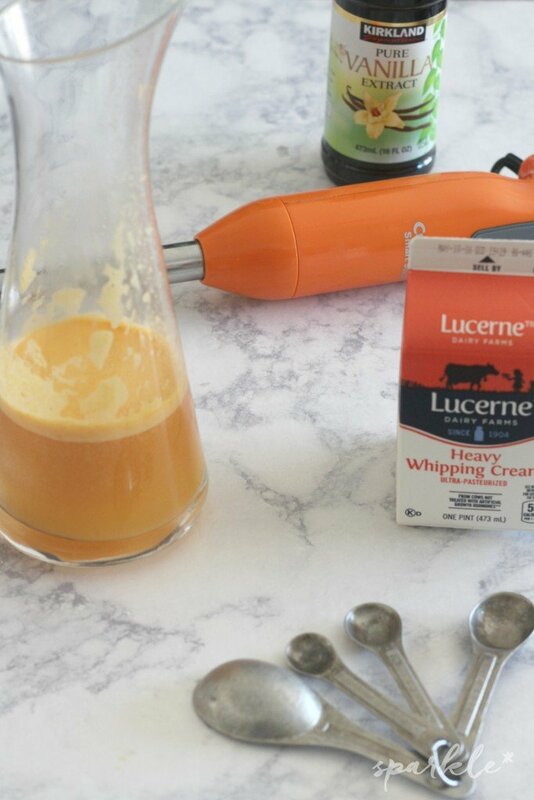 You could also use honey, simple syrup or other sweetener. If you use commercial orange juice you probably won’t need any additional sweetener at all. Once blended, pour evenly into your ice pop maker (I use the Norpro), insert your sticks and freeze. Blend all ingredients together. Pour into ice pop molds and freeze. Oh my. I want some of those. Gimme an ice pop or two. This might be the next batch of popsicles we make. It’s gonna be a long hot summer. Thanks for partying with us on Creative K Kids Tasty Tuesdays. 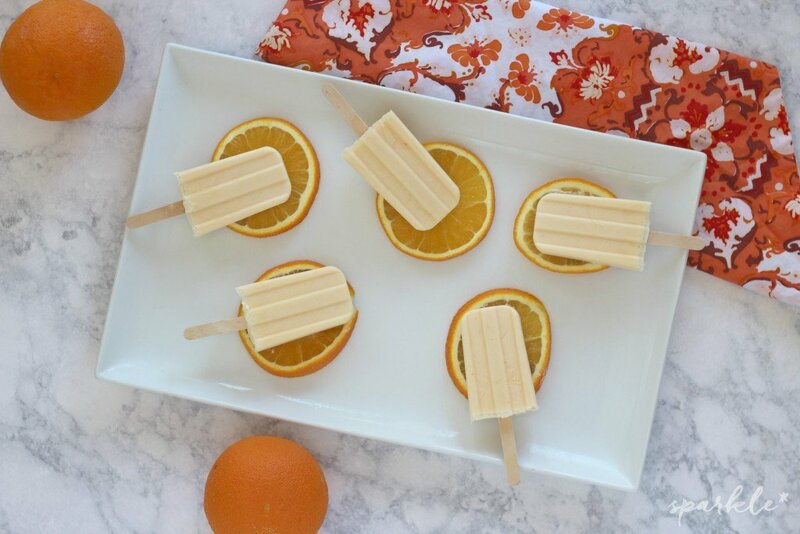 I love making popsicles and orange creamsicle flavor is a huge hit in our house. Pinning this for later! I can see why these disappeared so quickly! I love creamsicles! Thanks for sharing at the What’s for Dinner party – hope to see you next week too! These sound amazing! Thanks for sharing at our Merry Monday party. 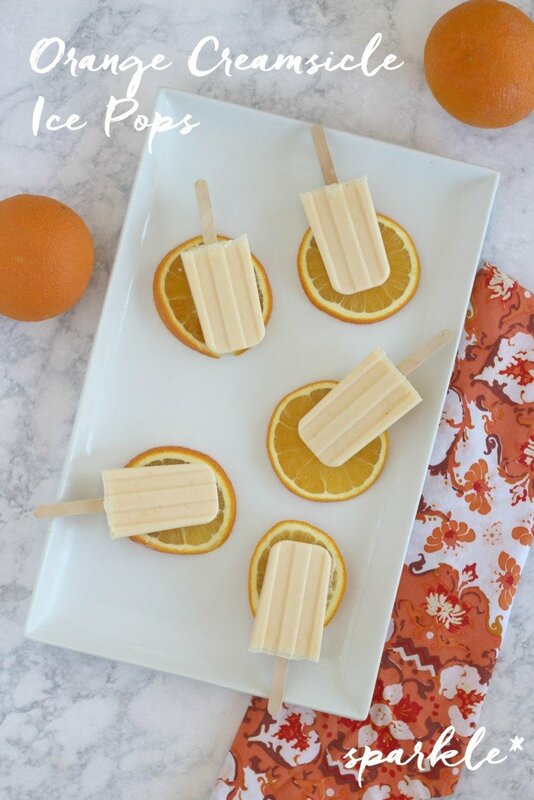 I’m going to feature your creamsicle pops at next week’s party 🙂 Hope you’ll stop by and link up again! Ugh, it’s been so hot here and I sure could use one of these creamsicle pops. Pinned and will be including this on this week’s Merry Monday Link Party features.